Disney World might be the happiest place on Earth, but just like any fantasy, there’s a little dark magic hiding under the theme park’s shiny exterior. And that’s exactly what the guys at Stuff They Don’t Want You To Know want you to know about. In the episode of the podcast, “Building Disney: the Magic Kingdom and the CIA” Matt Frederick, Ben Bowlin and Noel Brown could end up tarnishing some of your favorite childhood memories as they tell the truth behind the astonishing conspiracy of how Walt Disney enlisted the help of CIAagents to build his famous park. Disneyland, the first theme park in Anaheim, California, opened in 1955, helping turn around the fortunes of the Disney company. 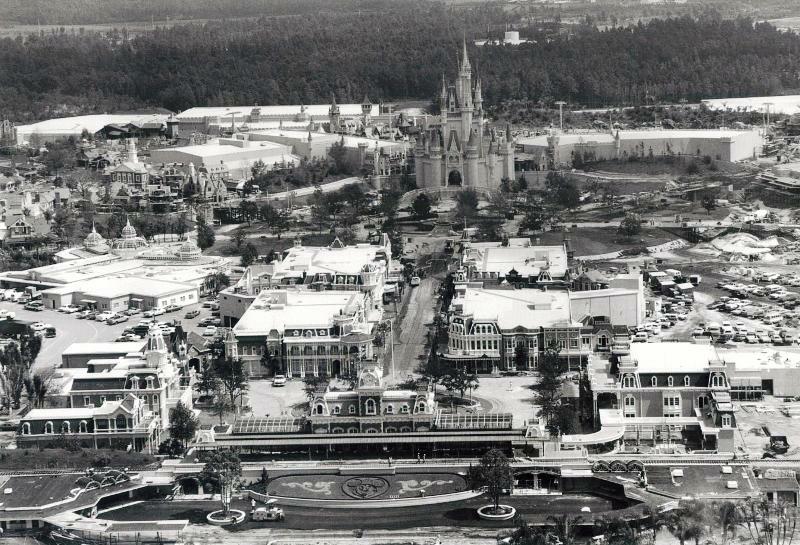 But when Walt Disney envisioned his second park, he didn’t stop at just attractions and concessions. He thought he would create a utopian “city of tomorrow” — a planned community for people to live and work. To do that, he needed a lot more land. Orlando, Florida, was ideal, but Disney didn’t just waltz right up to landowners to acquire his acres. Instead, he hired two notoriously shady men: Paul Helliwell, who ran CIA operations in Southeast Asia, and William “Wild Bill” Donovan, head of the World War II spy organization that eventually became the CIA. With their help, Disney could not only keep the land low-cost, but also retain total control over it in perpetuity. First, to get the land as cheaply and discreetly as possible, “Wild Bill” Donovan and his law firm created numerous shell corporations through which the property could be purchased. And he orchestrated a disinformation campaign to keep the locals from determining that it was really the Disney company that was buying it up as fast as it could, otherwise, residents would ask for a lot more money. But then how could the Walt Disney Company maintain control of such a large piece of property? That’s when CIA spy Paul Helliwell came into the picture. His answer? Create phantom cities where the property was located, install a compliant government and just make your own rules. But the Disney conspiracies don’t stop here: There are also rumors of secret, super-exclusive clubs on theme park grounds, as well as deaths covered up by Disney to keep the reputation of the park squeaky-clean. What other secrets are hidden in this giant wonderland? You’ll have to listen to the entire podcast to find out. One thing’s for sure, with Matt, Ben and Noel on the case, there will be no Donald Duck-ing the truth.